Alright, enough with the technical jargon already! I’m sure a lot of you are very eager to start taking your first macro shots and I totally understand your excitement! This article is aimed at educating beginners, so I will try to keep the information as simple as possible. The macro camera discussed from here on out will be referring to DSLR cameras (not Point-and-Shoots or smartphones), this is because DSLR performs much better in taking Macro shots, especially in terms of image detail and noise performance. 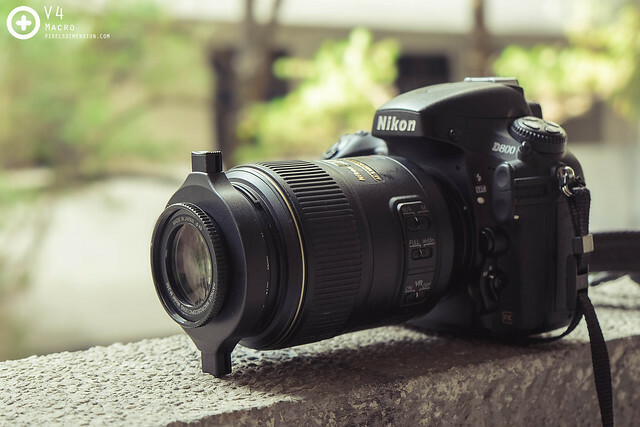 If you do not own a DSLR camera, perhaps you could consider getting one, especially so as DSLR has become increasingly affordable over the years. As mentioned in the previous articles, you do not need a top-of-a-line DSLR to take good macro photos; even an entry-level one is already up to the task! For more info on how to pick a suitable Macro DSLR, please read here: Five Aspects In Choosing The Best DSLR Camera For Macro Photography. There are ALOT of ways to allow your DSLR to shoot macro, since all it takes is a little bit of magnification. There are plenty of lenses or accessories out there for this purpose, and different people have different preferences over which to choose or use- there are no “rights” or “wrongs”. In this article, for the sake of simplicity, I will only be introducing the two most popular methods of achieving higher magnification for your macro gear. Okay! Assuming you have already have a DSLR body, the next thing you will require is a lens so that your camera can “see” the things you want it to photograph. Most people buy DSLR cameras as a kit- A DSLR body plus a kitlens. Kitlens (e.g. 18-55mm, 18-105mm, 18-140mm etc.) are generally affordable lenses that provide a wide focal (zoom) range suitable for normal photographers. These lenses may only be average in terms of image quality and focusing speed, but they are quite capable for Macro Photography. If you already have a kitlens, then please proceed to Part 2 of the article. For those of you who are looking to get a better lens for Macro Photography, it depends on how much you are willing to spend. For most beginners, splurging a huge amount of money on a good macro lens can be risky, especially so when you are not entirely sure you are that passionate about Macro Photography. This is why a 50mm prime lens is often the best pick here since it is relatively affordable, light, produces great image quality, and can also be used for taking portrait photos. 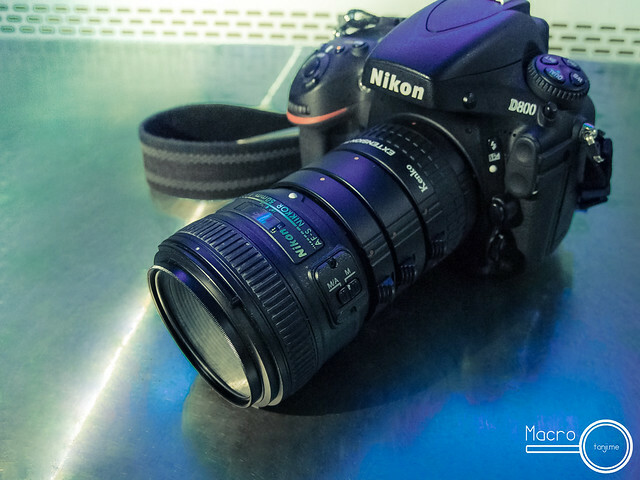 50mm prime lenses come in two forms, one with an internal autofocus (AF) motor (~RM700), and one without (~RM350). If budget is not a problem, always go for the former. Only get a non-AF motor 50mm prime lens if you are using a higher end DSLR body which has an AF motor in it. *Most entry-level DSLR cameras (e.g. Nikon D3xxx and D5xxx; Canon D6xx, D7xx etc.) do not have this AF motor. 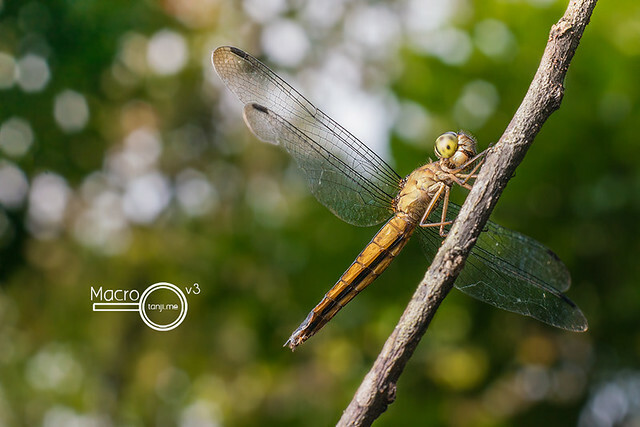 Once you have a functioning DSLR set, it is time to get some accessories to help increase magnification for macro shots, and this is usually done by using (i) a reverse ring, (ii) extension tube (s) or (iii) macro conversion lens. All three will help decrease the effective minimum focusing limit of your DSLR lens, thus enabling you to get really close to your subjects. 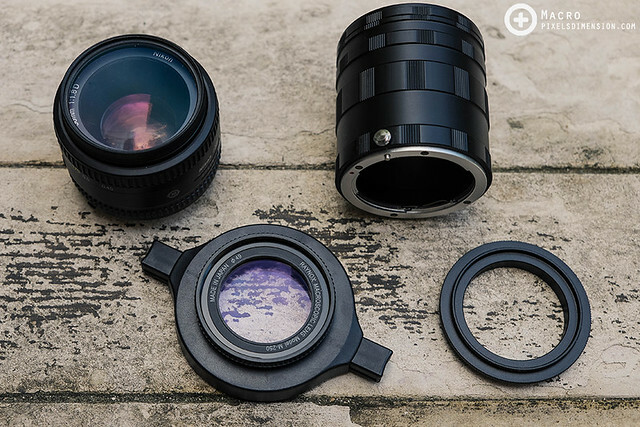 if you are interested in how these accessories work, do check out Magnification For Macro: Frequently Asked Questions. Reverse Rings, Extension Tubes and Macro Conversion Lenses are some of the simplest yet effective ways to gain magnification for Macro shots! A reverse ring is basically an adapter that allows you to connect your lens on a reversed orientation to your DSLR body. This allows instant magnification. Since a reverse ring is merely a plastic ring, it is quite cheap, ranging from ~RM20-RM100 depending on quality and solidness. 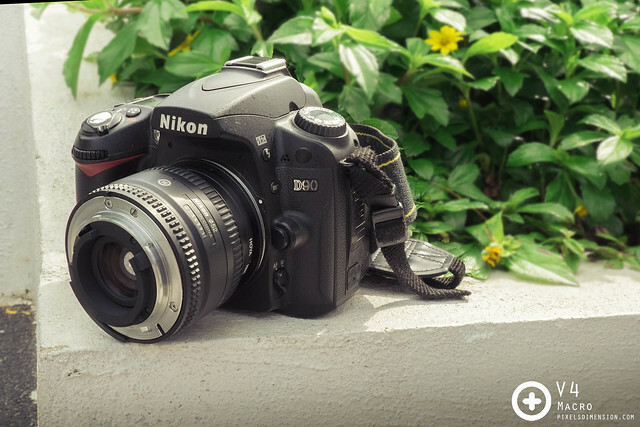 A budget macro setup, featuring a Nikon D90 and a 50mm F1.8d held in a reversed position for instant macro capabilities! Extension Tubes (ETs) are actually hollow tubes used to hold the lens farther away from the camera body (or more precisely, sensor). To a certain extent, the greater the distance between the lens and the sensor, the higher the magnification you can get; which is why ETs often come with 3 levels of tubes (e.g. 36mm + 20mm + 12mm) which can be combined or detached depending on the magnification you desire. 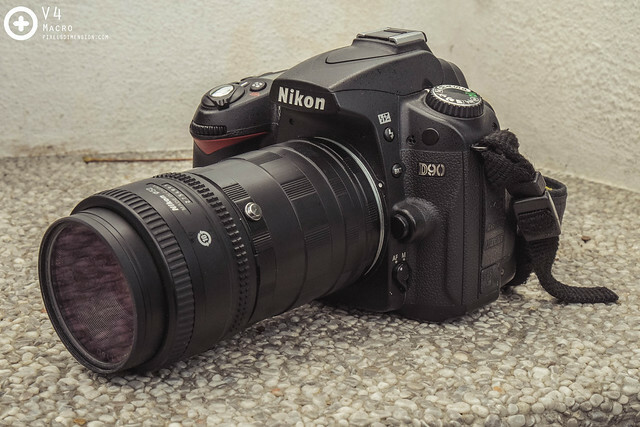 A budget macro setup, featuring a Nikon D90, plastic extension tubes and a 50mm F1.8d. Since ETs are hollow, some people even DIY the whole thing out of plastic bottles, pipes etc., or you could just buy some for around RM15-RM40. However, do take note that these cheaper ETs do not allow any electronic interactions between the lens and the DSLR body- you have to rely on manual focus by hand for shots. There are more expensive variants of ETs with electronic connectivity, usually termed AF-capable ETs. As the name suggest, this Extension Tubes allow the lens to “communicate” with the DSLR body, thus allowing the use of autofocus in Macro Photography, which can really come in handy! The two most common brands of AF-capable ETs are Meike (~RM300) and Kenko (~RM550). Of course, apart from the electronic link, these ETs are made from sturdier plastics and metals too, thus allowing you to pair it to a heavier lens in the future. If you are planning to get a dedicated macro lens (e.g. Nikkor 100mm F2.8 VR, Canon 100mm F2.8 etc.) which are quite heavy; it is advisable to get these Meike or Kenko Extension Tubes to avoid the snapping and dropping of the lens! A Macro Conversion Lens is a clip-on lens which instantly provides magnification. You just need to make sure that the size of the MCL fits onto your current camera lens (look at the lens diameter). MCLs involve a piece of glass that greatly reduces the minimal focusing distance of your camera and lens, so it is relatively more expensive. The most popular MCL is undoubtedly the Raynox DCR-250 (~RM250) which is pretty balanced in terms of price and performance. A Macro Conversion Lens, like the Raynox-250 in this photo here is a clip-on lens giving you macro capabilities without sacrificing Autofocus capabilities, neat! But then it is a lot more expensive than the normal reverse rings or plastic extension tubes. Well, I guess that’s it for now, I hope you find the information here useful. Personally I would always recommend people getting Extension Tubes to start off Macro Photography, since they can, and will still be used even when you have upgraded your lenses or gears in the future. Of course, the only decision to make is whether you should purchase an AF-capable ET (~RM300-RM550), or a non-AF-capable ET (~RM30). 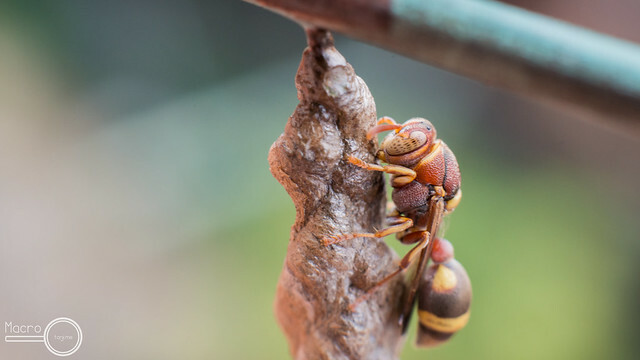 My advice here is: if you are unsure whether you will be interested in Macro Photography (e.g. you just want to try it out), always go for the cheap ET. That way you won’t waste that much money if some day you decided you do not want to take macro shots anymore 🙂 Note: Demand for 2nd hand units of ET is not high- hard to sell off. Thank you very much for reading, and I sincerely welcome you to the macro world! * Prices displayed in this article are mere estimates. Prices fluctuate from time to time.